The Tremont House offers upscale amenities within a historic 19th-century building just steps away from all the restaurants, shops, galleries, and museums in Galveston’s Historic Strand District.Pamper yourself with a stay in one of the hotel’s 119 units that feature hardwood floors, high ceilings, and period-style furniture that will make you feel like you’re back in the 1800’s. Along with the hotel rooms, there are 17 suites that have separate living rooms, luxurious bath products, and other perks that will make your stay exceptional. Each unit also has flat-screen televisions and free wireless internet, further representing the blend of historic charm and modern sophistication that The Tremont House is known for. In addition to its inviting in-room furnishings, The Tremont House has a range of on-site amenities that will enhance your stay. Work up a sweat in the fitness center and get a bite to eat in the Tremont Café, which serves delicious food throughout the day. Then sit down for a specialty cocktail with some friends at the Toujouse Bar – in operation since 1888 – or enjoy the stunning view from the rooftop bar. As a guest at The Tremont House, you can also take advantage of the swimming pool and full-service spa at Hotel Galvez & Spa, the hotel’s sister property. 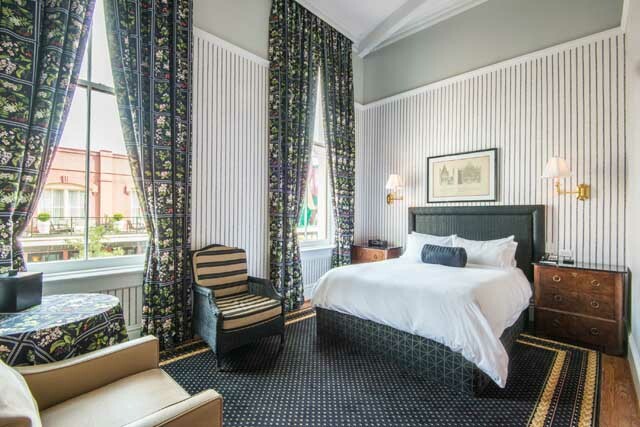 Check out the list below to see The Tremont House’s room and hotel amenities.